Hi, I’m Christine, Scrapbooking has been a favorite hobby of mine for many years. As a wife, and mother of three, I love to preserve my families memories through scrapbooking. 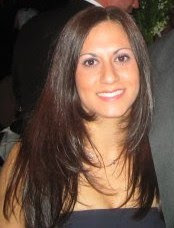 I am also a nutrition consultant and write a food blog called RealfoodwithChristine.com. I became a Close to my Heart Independent Consultant to share my love for scrapbooking with others! I would love to show you how to preserve your families memories in a fun, creative way! Welcome to my blog!